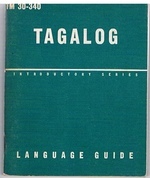 An Indonesian - English Dictionary. Kamus Lengkap 999.000.000. Grammar of the Sentani Language with specimen texts and vocabulary. COWAN, David H. K. J. Easy Malay Vocabulary. Covering Malaya and Indonesia.